This topic contains 3 replies, has 4 voices, and was last updated by Dr. Diablo 4 years ago. Paul Craig Roberts’ Lincoln alt history is pretty bizarre. Few men and no politicians are ever saints, even Lincoln. The instances of politicians and governments acting on grand ethical and moral principals is rare but the Civil War was made necessary by radical opponents of slavery whose motivations were moral, ethical and civil/democratic and the slave regions more radical insistence upon keeping slavery and extending it to as much of America as possible and then south through Mexico into South America. There was a huge bull market in slaves starting in the mid 1840’s, the only period of persistent deflation in America before the Great Depression. 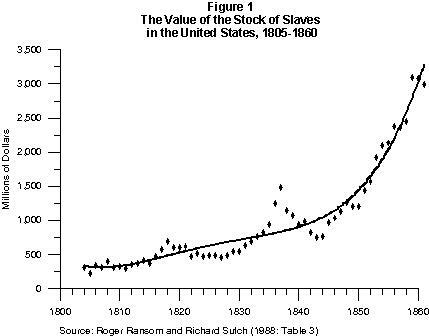 Slaves were the largest asset class in America in 1860. Robert’s throws around the term empire but that term is nonsensical in the context of that period for the US. The same can not be said for the likely arch of the slave Confederacy if it had been allowed to exist and evolve. Well I don’t know. We are told that the CMI index is down which is, apparently, a BAD thing and then we are told that the U.S. Retail is up, which apparently is a GOOD thing. Perhaps the U.S. Consumer is buying without credit? Or is nothing what it seems! This article is a sample box of false and erroneous theories. Really the gold standard, compressing the most stupid into the least space. “…the USA is a transfer union. Richer states support poorer ones by means of federal fiscal transfers.” Yes, it is a transfer union. Problem is, it’s a transfer union from the POOREST states to the RICHEST ones. Or maybe you can explain why, 100 years after the present system is in place, all 10 richest zip codes have migrated out of NY and into K-Street in D.C? Places like St. Louis, Wichita, Cleveland, and Utica used to do pretty well for themselves. Now due to a persistently tipped playing field and a 1,000:1 return on investment for federal regulations by lobbyists, there is basically NO money left in the District 12 “Flyoverland.” Europe for its part, is exactly LIKE the U.S. in stealing all the money from the weak and poor into the Capital Core, as seen most clearly in Greece, and ring-fencing Europe off from refugees. Moving down the list, “[Federal] government expenditures such as pensions, education, healthcare and defence. (sic)” Yes, there are. All of which are completely gutted, broken, and non-functional, worse than Europe. Also entirely illegal: the Federal mandate for pensions, education or healthcare—not to mention meddling in the economy—is strictly prohibited under the 10th Amendment. “States…can go bankrupt.” False. I do not believe any U.S. state has been allowed to go bankrupt, although the definition has been tortured a few times. “living standards tend to be maintained even in states that completely foul up their budgets.” False. Been to Detroit lately? Scranton? W. Va.? Mississippi? Only our mind-altering P.R. could disguise these areas as anything but 3rd world. See above with the crippling economic extraction of the periphery to the core, above. “Fed is responsible for maintaining both price stability and full employment.” Yes, and which it both has never done (see the 70’s) nor can it conceptually accomplish, the question being like “how many hammers does it take to drive a spaceship?” i.e., a total non-sequitor. Almost universally, high inflation correlates to high unemployment as per South America. Not to say that low inflation doesn’t also relate to high unemployment, as per austerity in Spain, Portugal, Italy, and Greece. This theory is hilariously false, for near 50 years, yet somehow still in use, its proponents not tossed out on the their ears, and/or sued. “ECB has maintained far tighter monetary conditions…” So…negative interest rates and Dragula’s new Q.E. program don’t count? Transferring all the distressed worthless assets in Europe to the ECB’s balance sheet a big nothin’ burger? Say, how many trillions do you think their banks got so far? More or less than the $23 Trillion the U.S. handed out? Because I’m thinking they’re contenders when it comes to free money for their friends. “far tighter monetary conditions” Like what? 0% seems like a real easy monetary condition for Spain to borrow under. How has 0% rates and the ECB buying all bonds and looking the other way on bank/national bankruptcy and budget deficits “hampered the efforts of member states”? …And so on. Like I said, practically 100%, every word is stupid, ill-informed, and/or wrong. Why isn’t this in Bloomberg?